The Vertex GT trousers are an exceptional mix of quality, safety and comfort and represent a perfect combination of sports driving pants and touring pants. 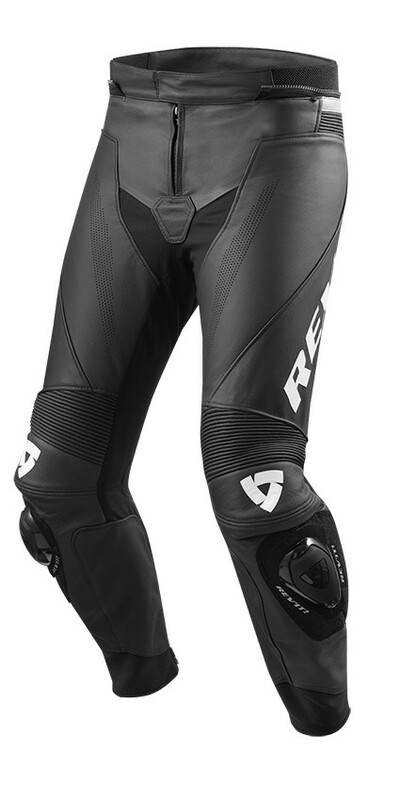 Made of perforated leather, the Vertex GT have CE protectors on the knees and on the sides for a safe and comfortable ride. 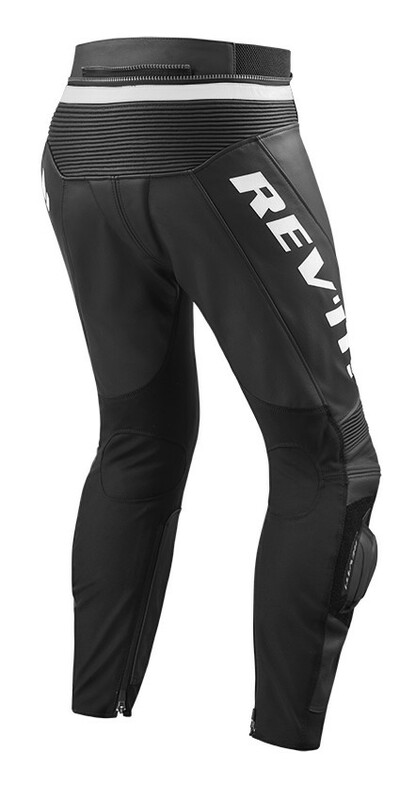 Thanks to the double connection zipper, both short and long, you can attach the trousers to any leather jacket from the Revit range. - Monaco Performance full grain leather honed and reinforced to the maximum to allow both to run on the track or even just to travel on the road. 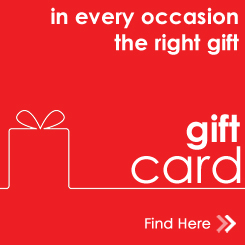 Extremely resistant to abrasion and wear. - Lorica® made of microfibres that give the material the typical characteristics of natural leather, including its appearance. Soft and light. 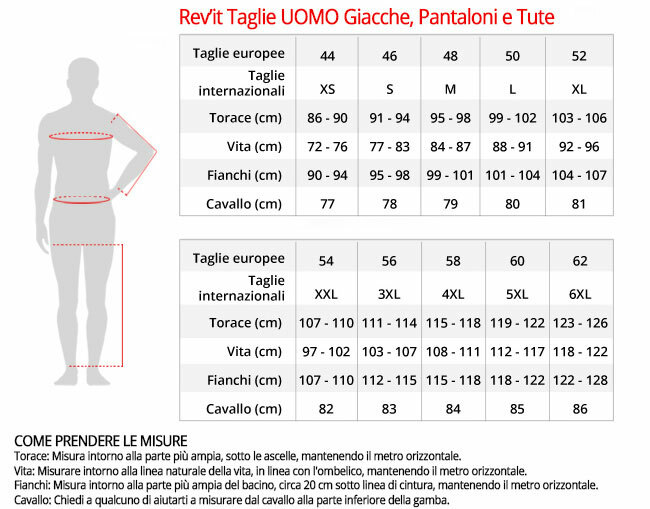 - Stretch panels that increase flexibility. 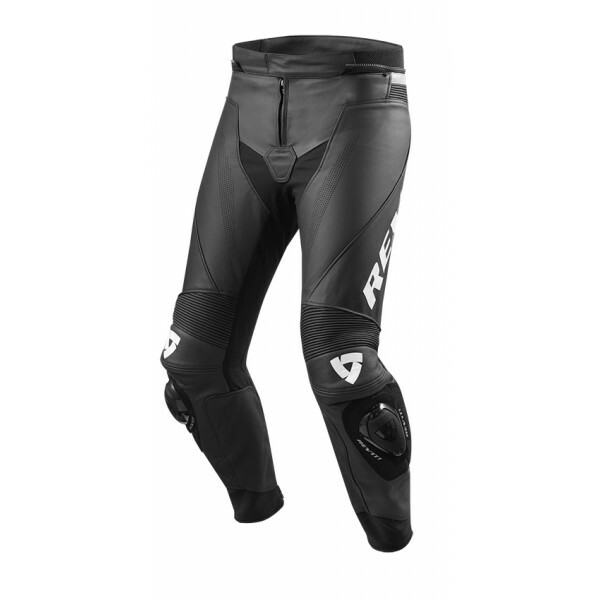 They contribute to the comfort of the motorcyclist as they give great freedom of movement. 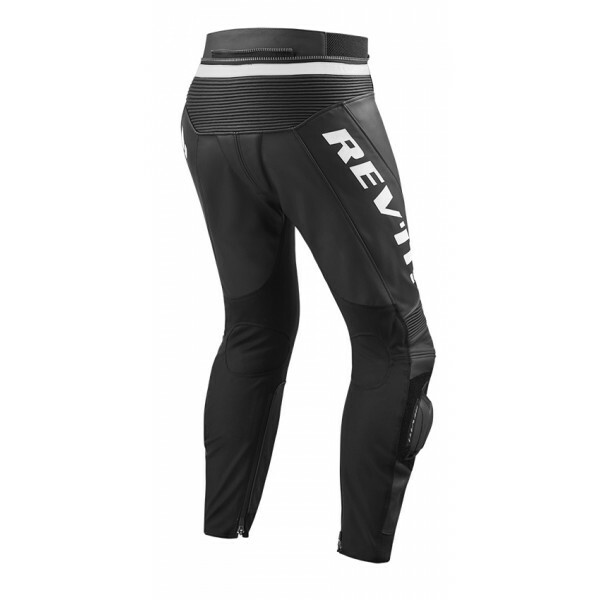 - Short and long connection zipper allowing you to connect it to any pair of trousers / jackets from the REV'IT! Range.